Reality or a cartoon? Jump From Paper’s bags will make you do a double take. 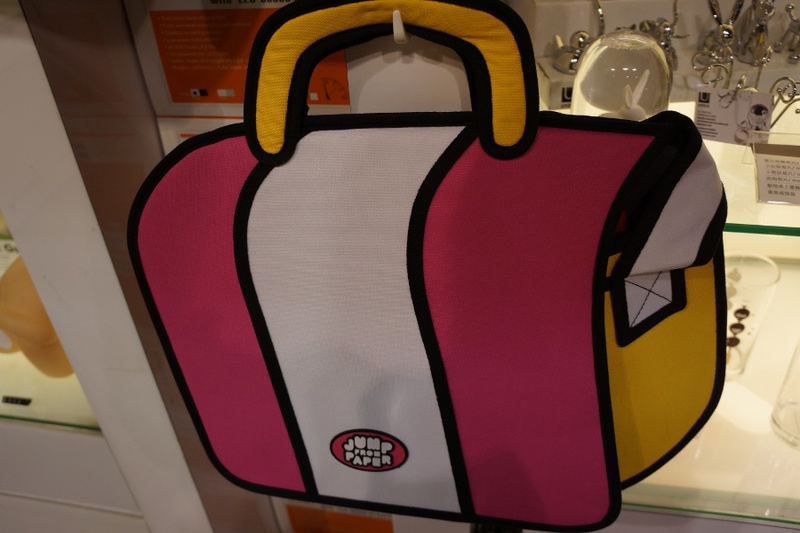 If you want your bag to garner more attention, it will be hard to top Jump From Paper’s offerings. 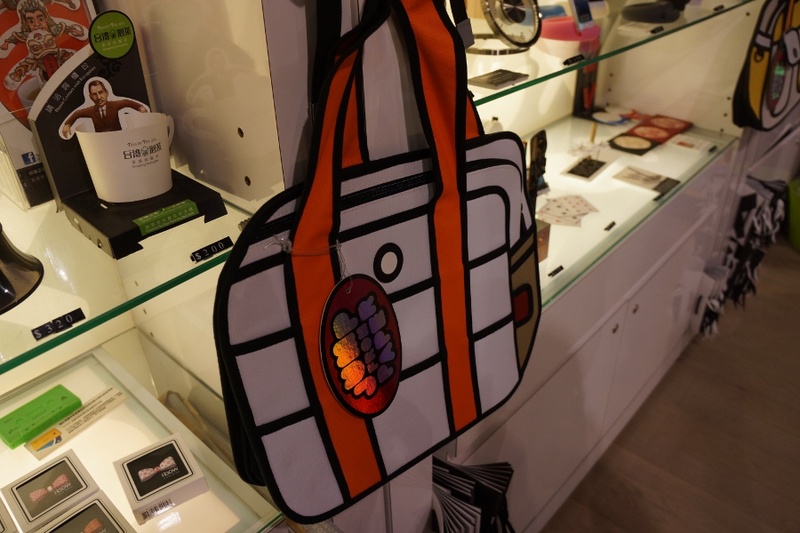 Created by two Taiwanese designers (the back of the bag’s tags say “Proudly Produced in Taiwan”), Jump From Paper specializes in making cartoonish bags that use the art of perspective and broad strokes to make them seem two-dimensional. Check out more photos after the jump. Created by Chay Su and Rika Lin in 2010, the designers take a lighthearted approach to their art, proclaiming “why take everything so serious?” Serious is definitely the last word I would use to describe these things. The brand is now available in 25 countries, though I never saw or heard of one before I came to Taiwan. I first saw them in ATT 4 Fun, a popular department store in Taipei. It was in a shop that sold quirky knick knacks like wooden watches and nunchuck folders. Seeing is truly believing, it’s hard to accept that these are actual 3D bags that you can touch and open. They are surprisingly convincing in many photos, but I assure you no photoshop is needed. 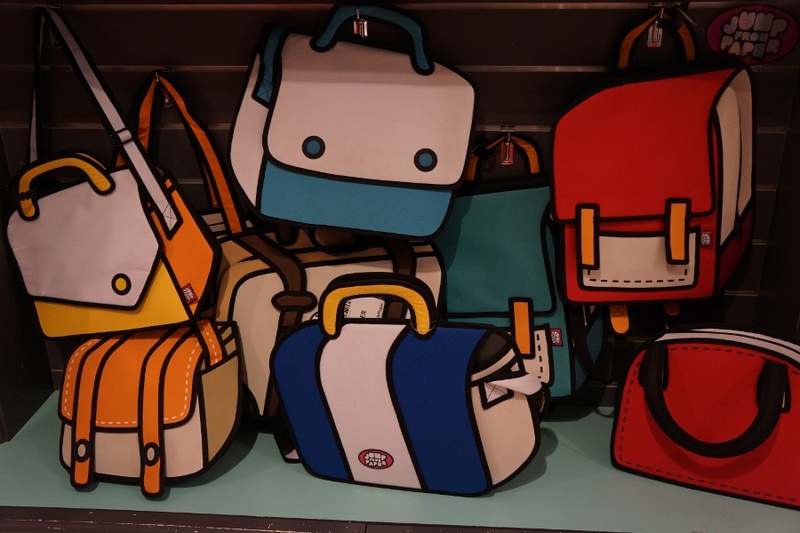 The brand mostly focuses on all sorts of bags. Shoulder bags, backpacks, purses, wallets etc. Prices vary depending on what type it is. The shoulder backs are about 2500NT, while purses run cheaper and backpacks more expensive. Pretty pricy considering their size and utility, but it definitely makes for a conversation piece. Part of me wants one, but then I don’t really carry anything around. It might make a good decoration regardless. Here are some photos. A close up of a blue shoulder bag. The inside doesn’t hide any quirky designs. The 2D effect can be mind-bending. Between dimensions (picture from Jump From Paper’s website). Use their store finder if you want to grab one in person, or order from their website. Posted on April 8, 2014, in Art, Stores and tagged 2D, art, bags, cartoon, taiwan, 台灣. Bookmark the permalink. 2 Comments. “but then I don’t really carry anything around.” Have you picked one up and opened it to check it out? 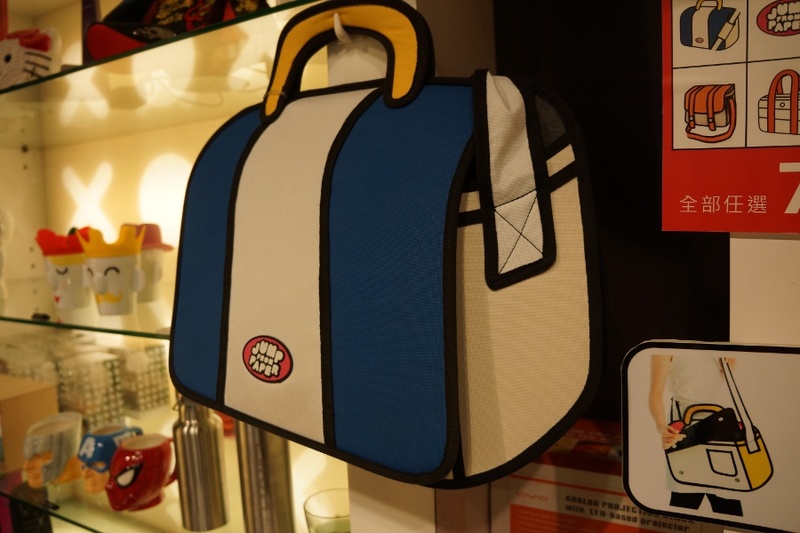 Those bags are kinda rigid, so it doesn’t feel like you can put much in it… so they might actually suit you needs, haha.